In this issue, not only did we want to feature a photo collage of our favorite fur pieces and accessories, we want to put a spotlight on an indigenous artist who worked with fur on a daily basis: meet Christy Ruby. She’s lived in Alaska her whole life, so, best believe that she loves all types of fishing and hunting. Ruby mainly hunts harbor seal and only take a few sea otter once a year. According to Ruby, there are no limits on the take of either of these mammals as their populations are flourishing in southeast Alaska. However, the only requirement for hunting them is a hunter has to be at least ¼ Alaskan Native and live on the coastline of Alaska. “I use a 22-250 and reload my ammo to take all my game, including deer” Ruby explains. When Ruby hunts, she salvages some of the seal meat and fat and donates it to several groups of elders who can’t get the seal on their own. “It has the flavor of the ocean and is very dark, oily and rich in omega fatty acids,” she says of the seal’s flavor. As for the animals’ hides, Ruby makes the beautiful contemporary fashion of the highest quality and craftsmanship. 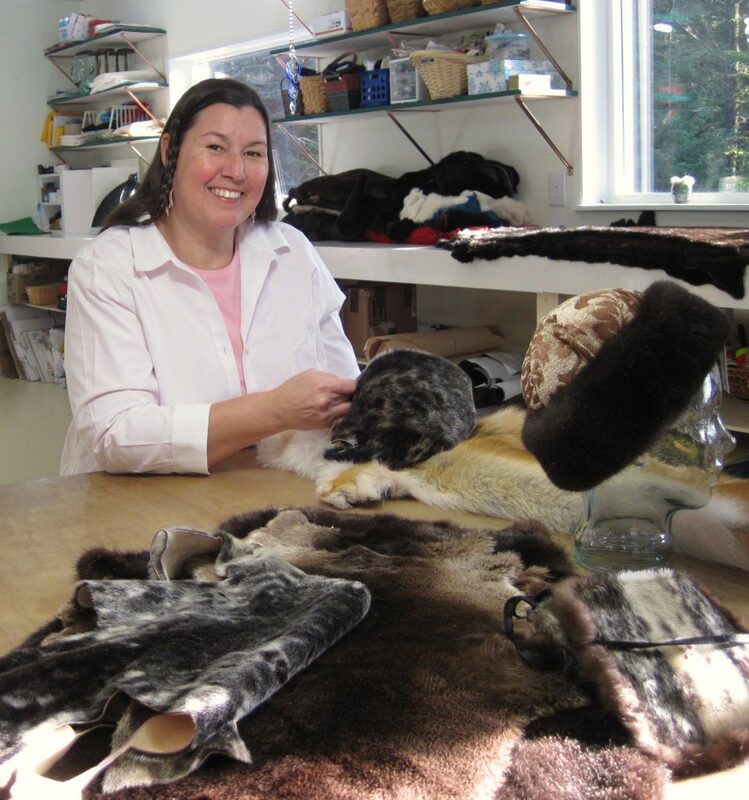 Her design collection is as diverse as the color of hides she works with, and consists of outerwear such as mittens, neck warmers, and hats; Ruby also makes sea otter teddy bears and jewelry adorned with seal claws. It’s also worth noting that Ruby’s work is award-winning. Her pieces have been awarded first, second and third place ribbons at various Native Art Markets and Fairs across Indian Country. No matter where her travels take her, Ruby is always happy to display her work and share the stories of her heritage with everyone. Ruby is indeed a well-rounded, multi-talented individual. Her talents consist of multimedia arts such as graphic designing and marketing. She takes her photos of her products as well as models who wear her pieces. She’s also an avid gardener and raises chickens outside her home. 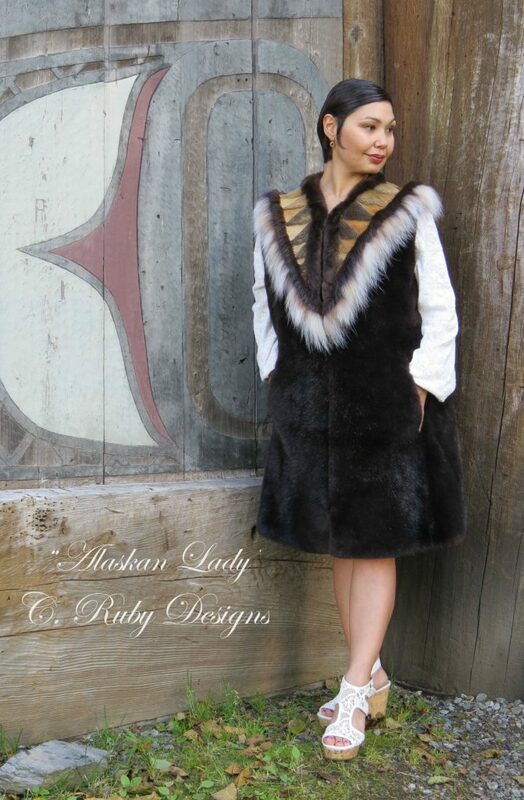 Shop pieces from Ruby’s collections at her Etsy store at https://www.etsy.com/people/Indigenousalaska.